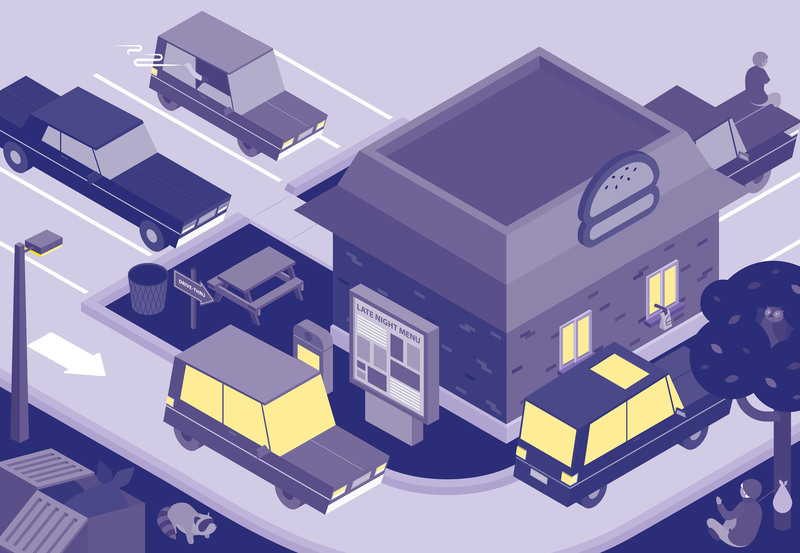 We were given the assignment of creating an isometric illustration showing a process; I chose a late night burger joint and all the different interactions taking place near by. I used flat illustration and monochromatic purple colour palette as I feel it fits this common late night scene, making it feel more playful than dark. I went on to animate a section of it to show the movement that can’t be captured in a still; this video can be found here.